New, improved, and so 2019. 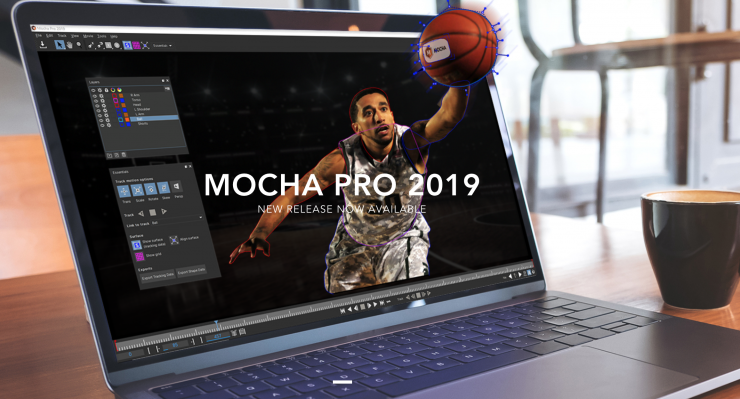 Mocha Pro version 6 is here, and it’s going by a new name: Mocha Pro 2019. Boris FX has decided to name the program by the year for good reason. Starting now, the company is promising to release updates on an annual basis (and not only for Mocha, but also Sapphire and Continuum, its other two flagship products). Keep your eyes peeled for the upcoming new Boris FX App Manager, a simple one-touch licensing and support utility for managing all your Boris applications and licenses via a single, unified user interface. 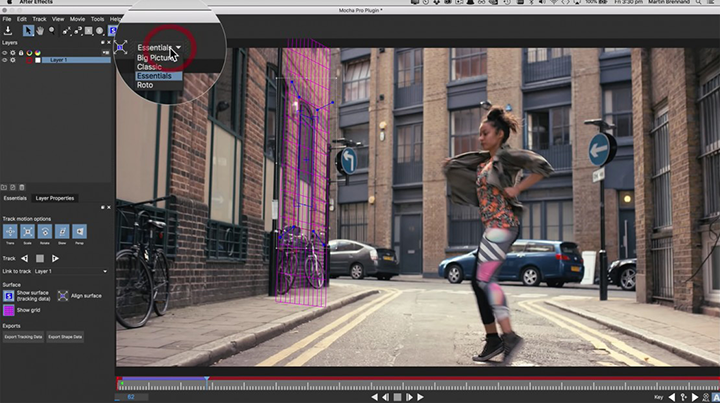 In case you’re new to the world of VFX, Mocha is a planar-tracking and roto-masking tool. You might already have a version, as it comes bundled with a number of different programs, such as Adobe After Effects. The standalone application packs more of a punch with many additional features, along with a different price point. How much more of a punch, you ask? Like a Marvel character punch. Mocha is used by industry professionals on titles such as Thor: Ragnarok, Spiderman, Star Wars, Game of Thrones, and many more. Now let’s have a closer look at the updates to the 2019 version. Just last year, Boris FX introduced Mocha VR, a program specifically designed to work on mono and stereo 360 video. Now the company has taken all of the features of this standalone application and put them inside of Mocha Pro. To work with 360/VR, simply check the 360 VR footage box in the project settings of the standalone app, or in the Views menu for the plugin. One thing you’ll notice right away is the new Essentials workspace. 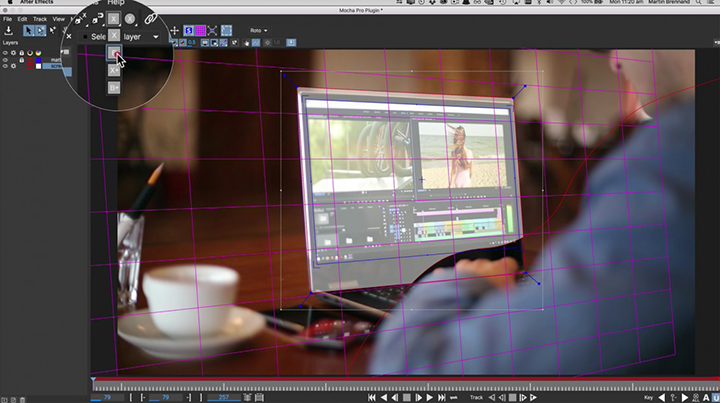 This is designed to streamline the interface, showing only what is essential for basic tracking and rotoscope work. It’s a particularly great feature if you’re new to Mocha. If, however, you hate change, simply switch back to the Classic workspace (or try out the new Roto or Big Picture workspaces). You might also notice new icons, a darker color scheme, and an overall sharper look. This is because Mocha now supports High-DPI & Retina Displays. 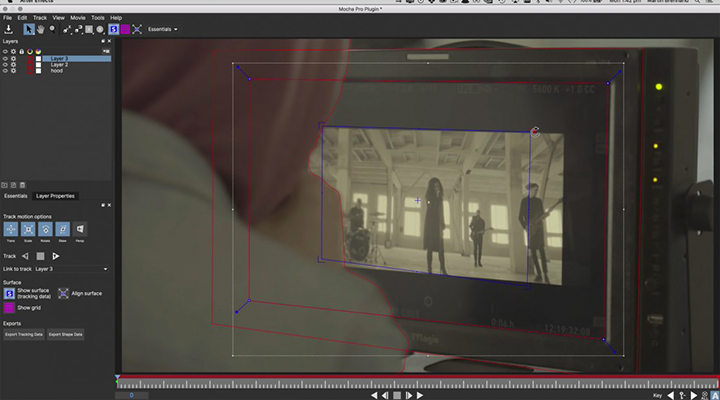 The Remove Module allows you to track and remove objects from the screen, and it one of Mocha’s most popular features. The module has been updated and improved with GPU-acceleration. In benchmark tests compared to the CPU version, processing on GPU has improved removal rendering speeds by up to 500%. When compared to Mocha V5, that speed increased to 1,000%. The difference will obviously be dependent on your particular hardware, but the improvements are significant. 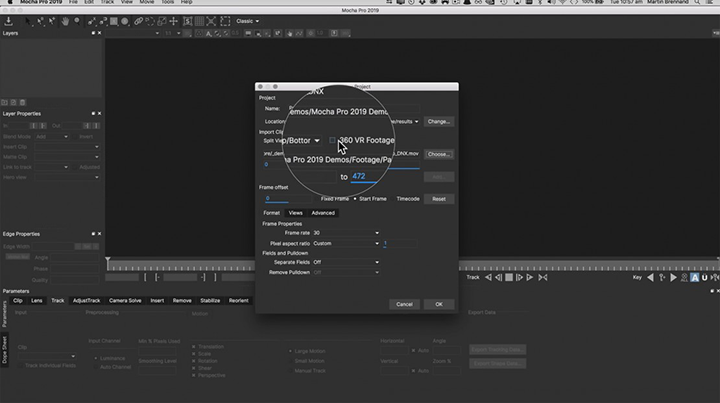 After many requests, a number of primitive shape tools have been added to Mocha Pro 2019. You can now quickly and easily create rectangles and ellipses, in either X or B splines. For more detailed roto work, you can use the new Magnetic or Freehand Spline tools, The Magnetic Spline tool snaps to the edge of objects, and splines convert to vector X splines. You can combine this tool with the Freehand tool. In fact, the Magnetic Spline tool will automatically change to Freehand if you click offscreen, and then return to Magnetic when you come back on screen. 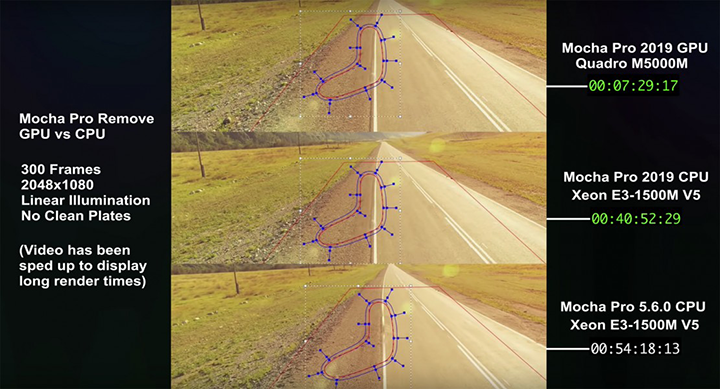 Using the standard selection tool, you can now make basic transformation adjustments to the Surface. Rotate, scale, and transform the Surface directly, without having to rely on other tools or moving points. So what do you think? Do you have a favorite new feature?